Peru’s many wonders are yours for the taking on the first part of this journey, from Lima to the Sacred Valley and the Inca citadel of Machu Picchu. 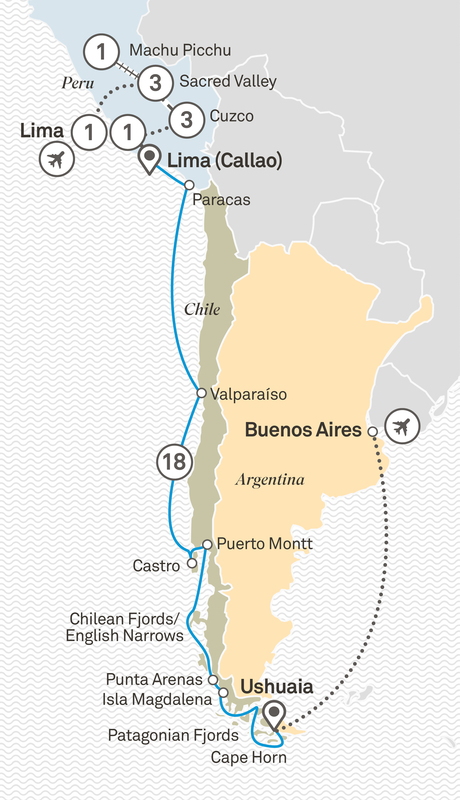 Then board Scenic Eclipse for your all-inclusive cruise of the majestic Chilean Fjords. Welcome to Lima, the capital of colourful Peru. Start your journey into wonder with an overnight stay and meet your Tour Director on arrival. Transfer to Callao port to embark Scenic Eclipse.